Homecoming is the must-see mystery box tv series as it became the best streaming series of the year. Homecoming is an irresistible mystery-box drama which tells its story with carefully considered details and superb acting that grounds the whole piece in reality. It explores what happens when a person’s consciousness and/or subconsciousness is manipulated while messing with the viewer's mind in the process. Directed by Mr. 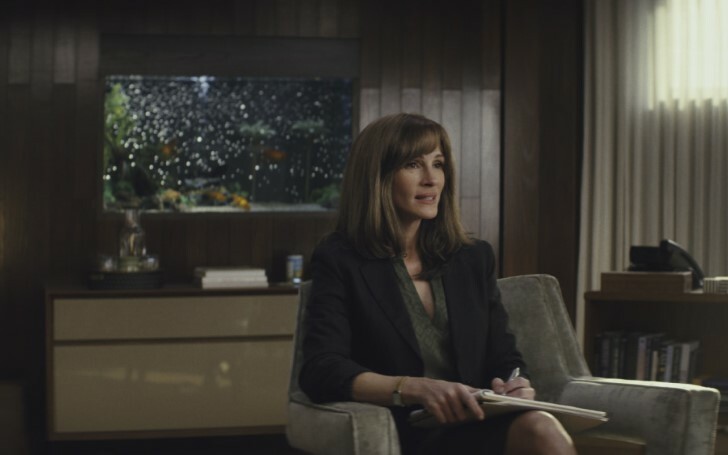 Robot creator Sam Esmail, the series follows Julia Roberts as Heidi Bergman, Walter's caseworker, who is employed at a secret government facility, the Homecoming Transitional Support Center. It's a Geist Group facility with the aim to help soldiers transition back to civilian life. Bobby Cannavale is playing Colin Belfast, the head of the facility and Heidi's boss with manic demands and questionable motives. Nothing is as it seems as seen on the trailer below. Four years later, Heidi is living a quiet life with her mother (Sissy Spacek) working as a small-town waitress when she's tracked down by a Department of Defense auditor trying to find out why she left her old job behind. As a matter of fact, the series revolves around the story of 'what went wrong' at the Homecoming Transitional Support Center. As Heidi uncovers buried memories it leads her to question everything she thought she knew about her work at the center. The series also stars Jeremy Allen White, Alex Karpovsky and Dermot Mulroney. Eli Horowitz and Micah Bloomberg created the drama.